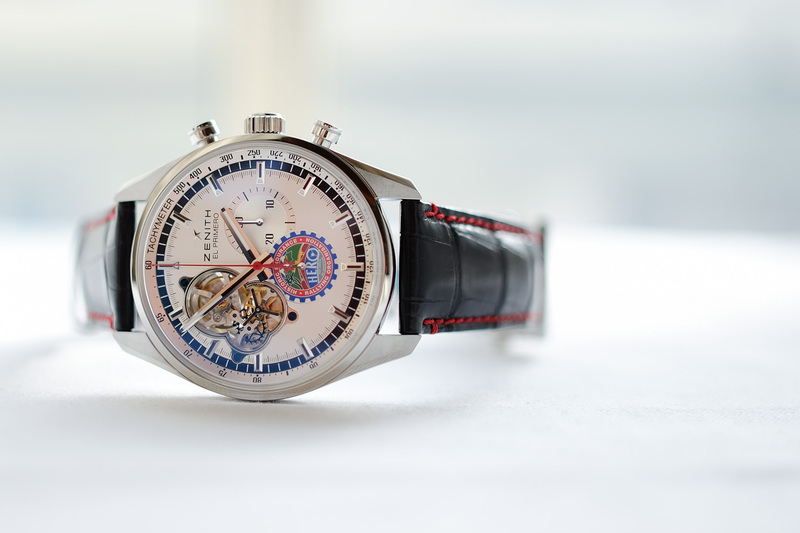 Last year Zenith introduced the El Primero 410 Limited Edition, which revived a collector’s favorite from some years ago: the El Primero Chronomaster. This year they bring us a non-limited edition of this classic in a modern 42mm size, but with all the classic looks that made us love it in the first place. 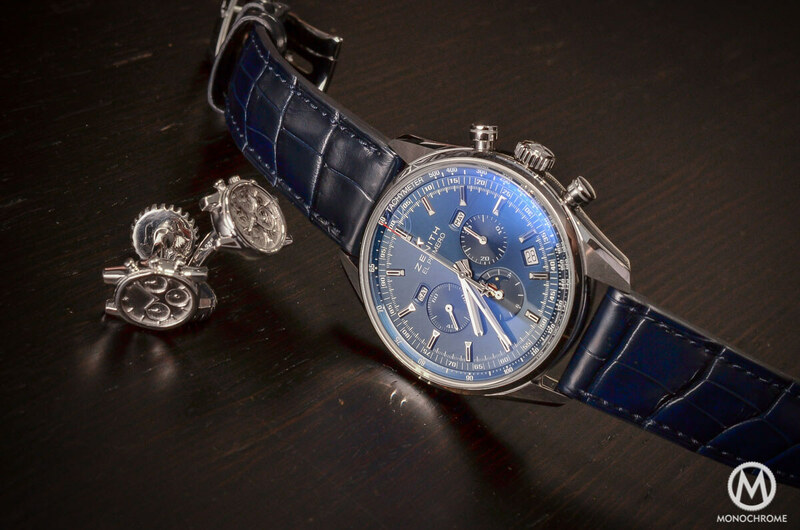 Here is the Zenith El Primero 410 with Triple Calendar and Moon Phase. 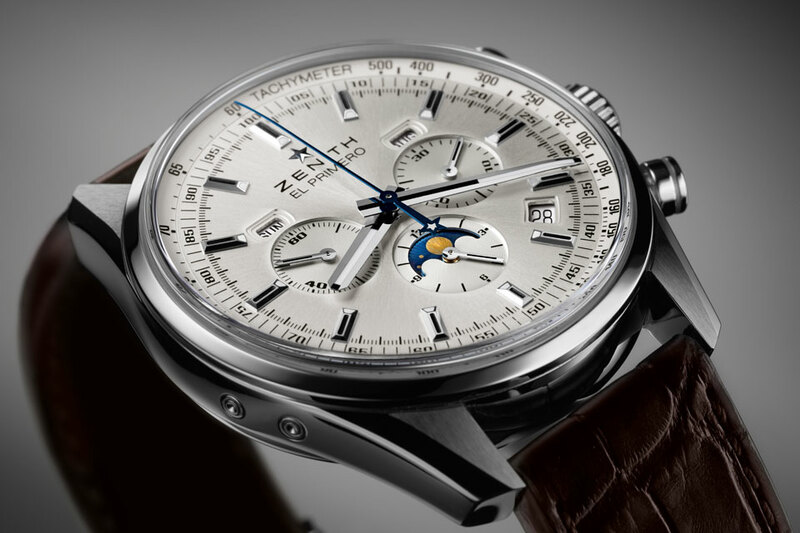 Last year’s El Primero 410 L.E. already introduced the new looks that also apply on this year’s version. That one was limited to 500 pieces, had a slate grey dial and two stars on the dial besides the day and month apertures. This year’s non-limited El Primero 410 does not feature these two stars and comes with a silver dial, however the rest is similar. The current day El Primero Chronomaster distincts itself from the El Primero collection, by a large aperture in the dial revealing the entire escapement. 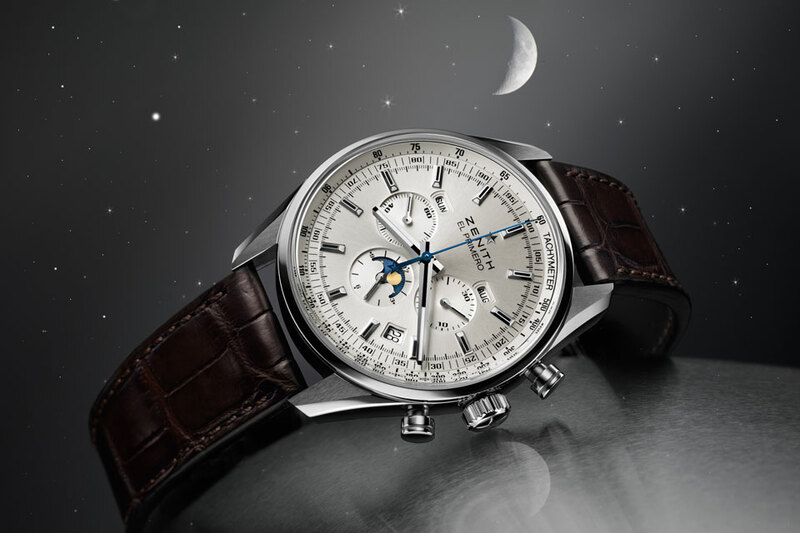 That was different on the “old” El Primero Chronomaster that was introduced in the beginning of this millennium and like the new El Primero 410 it featured a triple calendar, a moon phase indication and of course the legendary chronograph. The movement is Zenith’s iconic caliber 410, which i an integrated chronograph movement with a column wheel to actuate the chronograph’s functions. 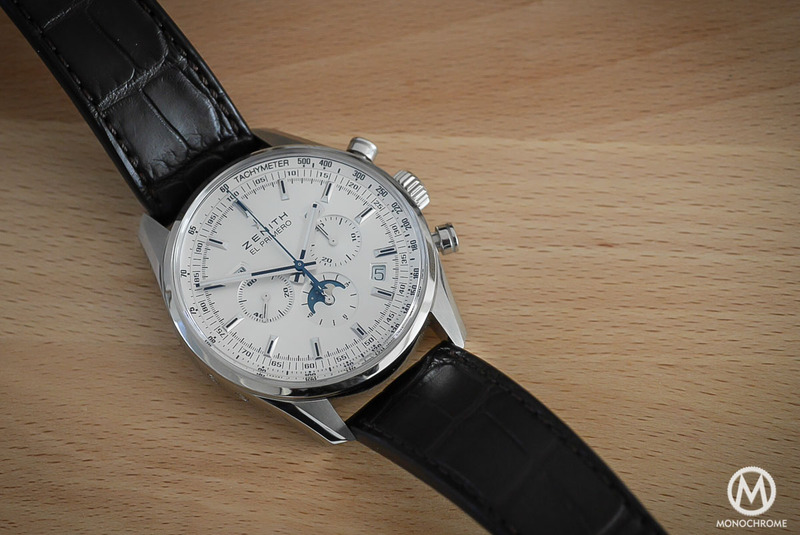 First produced in 1969, the El Primero is still considered by many the best mechanical chronograph movement. It’s escapement vibrates at 36,000 vibrations per hour, or 10 ticks per second. The calibre 410 sports 31 rubies, 354 parts, a triple calendar (month, day, date), a moonphase, 50 hours of power reserve, and of course the chronograph with 30-minute and 12-hour registers. This automatically wound beauty can be observed through the sapphire crystal in the case back. The El Primero movement sets itself apart from the herd of mechanical chronographs with automatic winding. First of all, it’s an integrated chronograph, meaning that there is no base movement with a chronograph module atop. It utilizes a column wheel to start, stop and reset the chronograph’s functions, which is considered by many a sign of classic watch-making. It has a hi-beat rate of 36,000 vibrations per hour, making it possible to measure time intervals with a precision of 1/10th of a second. Last but not least, it has 50 hours of power reserve, which is several hours more than its competitors. 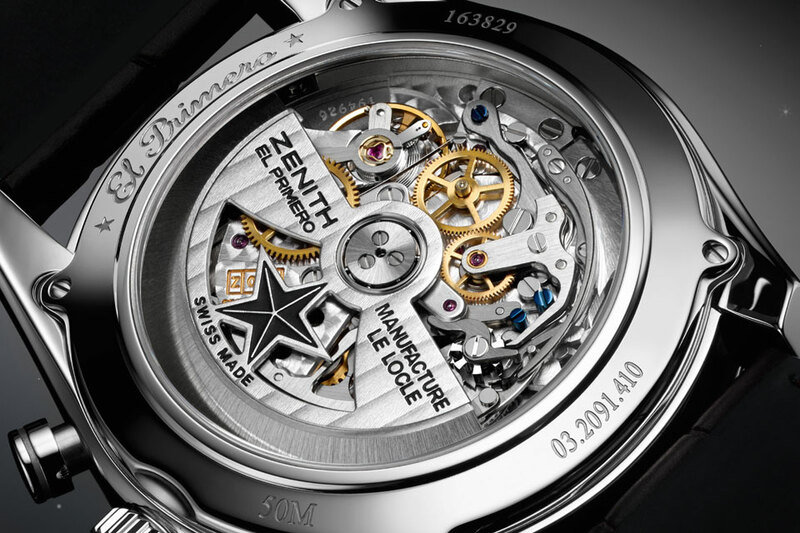 The El Primero chronograph is also a relatively thin movement with just 6.60 mm in height. Compare that to two other important and frequently used automatic chronographs: the Valjoux 7750 measures 7.90 mm in height and the Lemania 5100 is 8.25 mm in height. The El Primero 410 is 1.10mm thicker because of the triple calendar and moon phase module and measures 7.70 mm in height. The dial side shows the triple calendar indications: day, date, month and additionally a moon phase that is shown in the 12-hour chronograph register sub dial, at the 6 o’clock position. 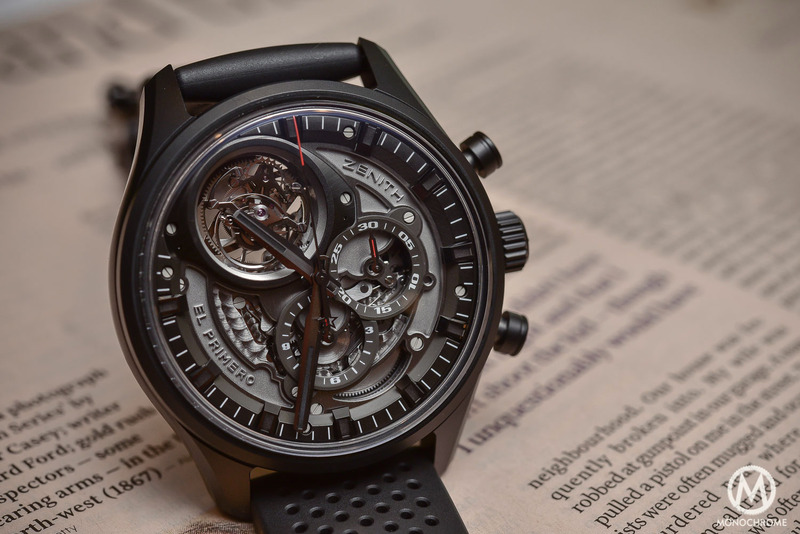 The El Primero 410 will come at a price of just over €8,000 Euro or $ 11,000 USD. Isn’t it a beauty? 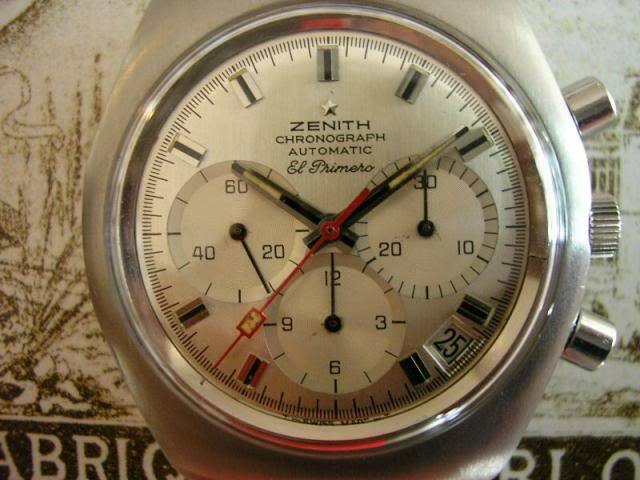 Please visit the Zenith Watches website for more information. I’m not sure I like that the moonphase is somewhat covered up by the chrono seconds hand. Is that a design that Zenith does regularly? 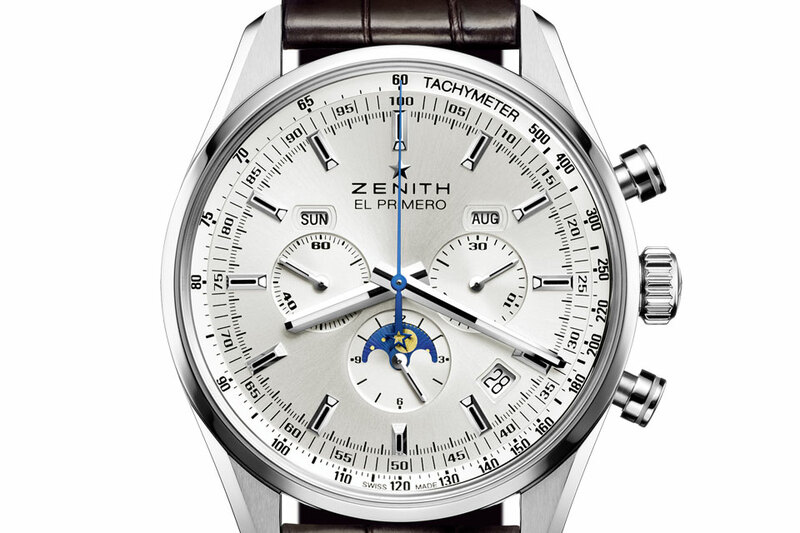 This is indeed something that Zenith has done before, on the El Primero Chronomaster. But not only Zenith does this! 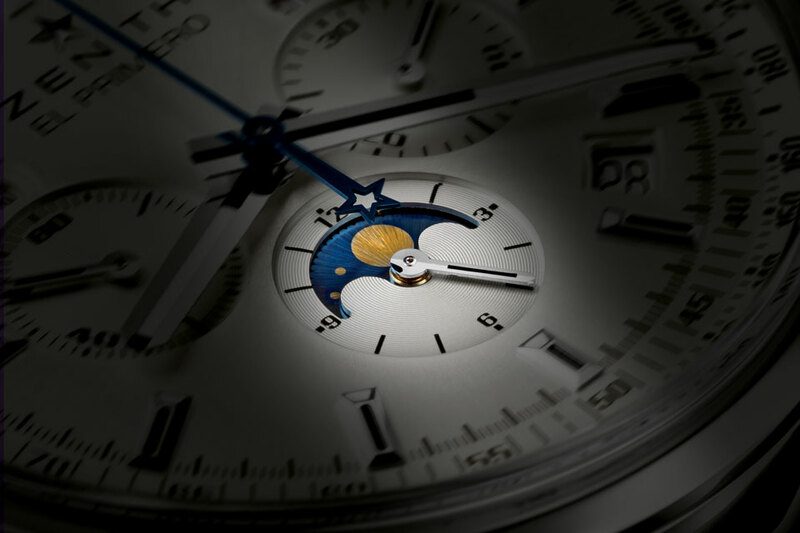 Many watch brands like Patek Philippe, Vacheron Constantin and others, place the moon phase indication in the same sub dial as one of the chronograph registers. Thanks for the response Frank, I meant the chrono seconds hand’s star blocking the moon phase aperture, just slightly. Well… good point, Gyang333. I actually hadn’t noticed that, however it looks kind of strange.